While the word-for-word meaning of the title invites the assumption that the suite is a programmatic work, describing what is seen and felt in a visit to the tomb of Couperin, tombeau is actually a musical term popular in the 17th century and meaning "a piece written as a memorial". The specific Couperin (among a family noted as musicians for about two centuries) that Ravel intended to be evoked, along with his friends, would presumably be François Couperin "the Great" (1668-1733). However, Ravel stated that his intention was never to imitate or tribute Couperin himself, but rather was to pay homage to the sensibilities of the Baroque French keyboard suite. This is reflected in the structure which imitates a Baroque dance suite. 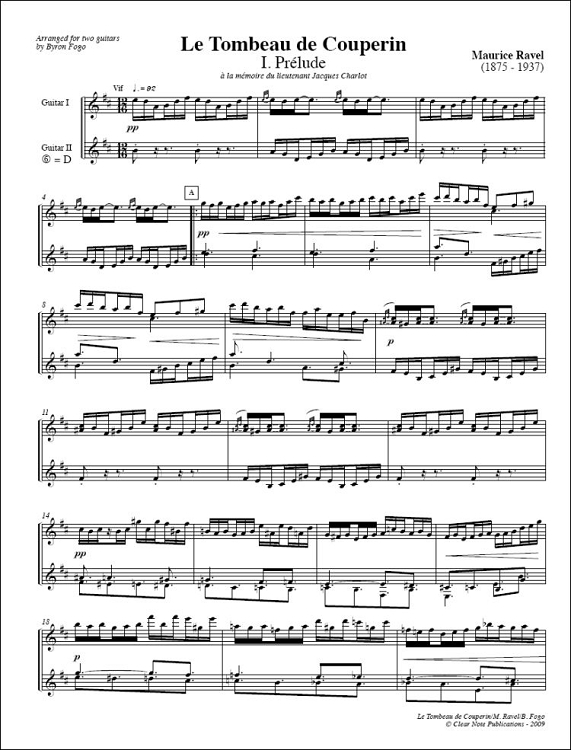 As a preparatory exercise, Ravel had transcribed a forlane (an Italian folk dance) from the fourth suite of Couperin's Concerts Royaux, and this piece invokes Ravel's forlane structurally. However, Ravel's neoclassicism shines through with his pointedly twentieth-century chromatic melody and piquant harmonies. 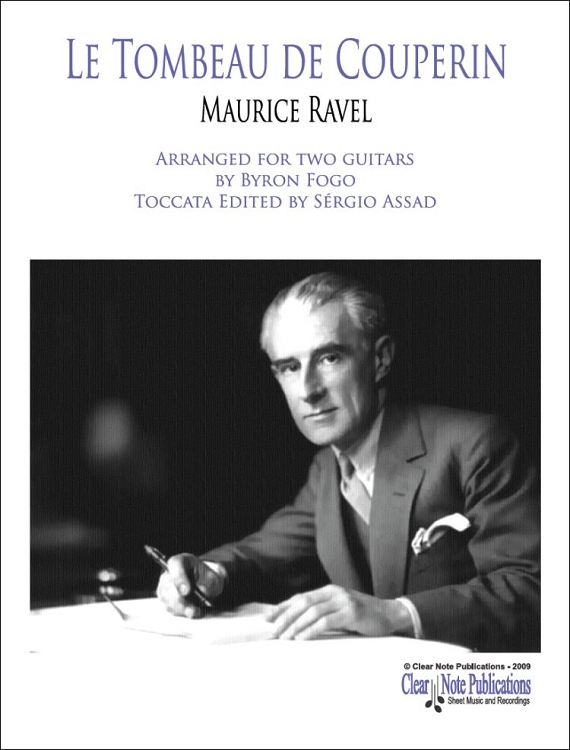 When criticized for composing a light-hearted, and sometimes reflective work rather than a somber one, for such a somber topic, Ravel replied: "The dead are sad enough, in their eternal silence."